The past Saturday brought the 2015 edition of the Wellness Expo that is put together (quite well, I may add) by employer’s Human Resources department. I was there last year, and this year I was back running the hooping station, as I did the previous one. 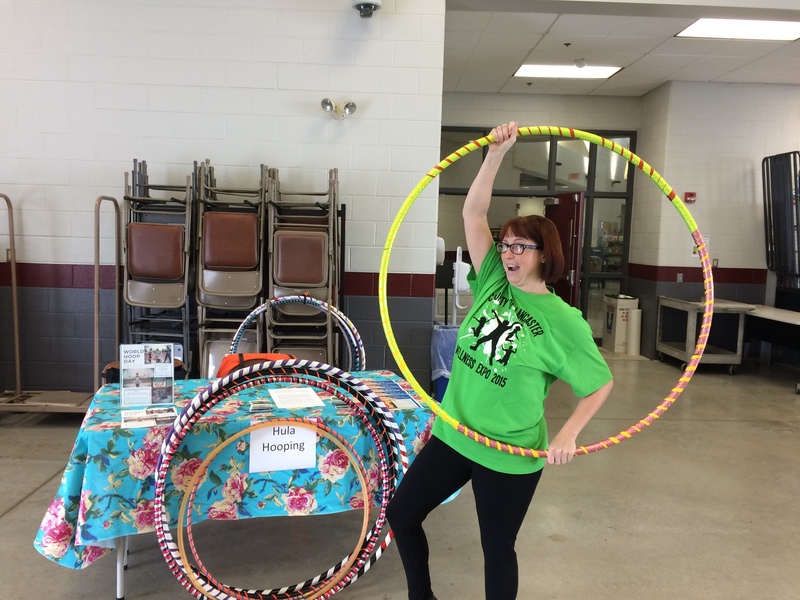 It was funny, a few people came up to me asking if I was able to hula hoop while I was manning the table. I just gave them a look, grabbed a hoop, and showed them that I was quite capable. This year, though, we had hooping entertainment from Jenny Hill of Acts of Jennius, my teacher and friend. She was great with the kids, too. She performed and interacted with the attendees. People were quite entranced by her awesomeness! 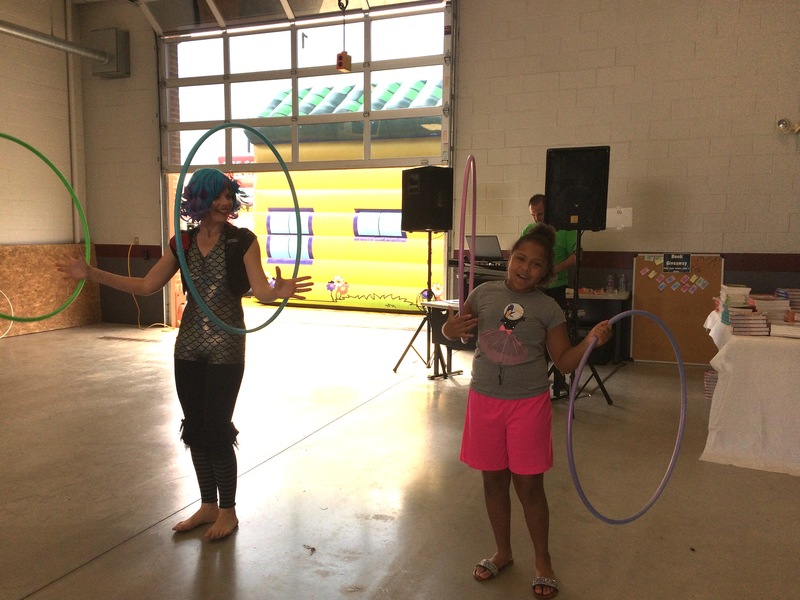 Jenny Hill of Acts of Jennius helps a girl learn to twirl a hoop on each hand. It was an exhausting, but good, day overall. Me, posing at the our table.